Top 6 Yoga excuses. I’ve heard them all! I’ve been teaching yoga for quiet some time. This year will make 21 years! So along the way I’ve seen all sorts of people do yoga and I’ve heard all the excuses why someone can’t do yoga. The assumptions people have about yoga are as many as the day is long. Either they think it’s boring (usually the type A personality) or they think it’s too hard, or they think there is some sort of skill involved that they don’t posses. But at the end of the day the truth (as cliche’ as it might be) is that if you are breathing you can do yoga. The word yoga means “to yoke”. To bring together breath, body, mind. It’s definition is not; exercise that gets you into challenging positions to make you sweat or feel uncomfortable in the name of flexibility. So if you are breathing and you can be mindful of your body you can do yoga. However, a yoga practice won’t be beneficial if you are inconsistent. It really doesn’t matter if you are flexible, strong, injured, or out of shape. The point is to practice. To show up on your mat as often as possible to be present. To breathe. To slow down and check in with YOU! I’m too tight. Yes of course. And whatever you don’t go to a yoga class to help with that. Yoga is boring. Well then you haven’t been to the right class. Yoga can be slow, fast, hard, gentle, sweaty, and deeply healing. If you haven’t liked it yet keep trying. I wish I had time. As I say, you either take time or time will take you. It’s that simple. I have too many injuries. The pharmacy industry is making a killing because you don’t think yoga can help. I couldn’t do that! No you can’t. You are in your 50’s and haven’t done much exercise but what you can do is start somewhere with something that works for you and stick to it. My mind is too busy to do yoga. And so is everyone else’s. Just get on the mat. When I realized I had to start doing Yoga off my mat. Of course it was a relationship. They’re always the most piercing way the Universe has to help us grow and understand ourselves. And Holy Shiva it can be painful. I was in a relationship with a man whose every word either offended me or hurt my heart. Unfortunately, the pain was also a source of curiosity. Why am I so offended? I know this is not about me, so what have I not addressed in myself that I feel this primal need to defend myself? The curiosity continued. Then, there was a moment he was “telling me about myself” and I had an epiphany. Oh! This is yoga! If I sit here in the discomfort and watch how I want to react but don’t, I can let him have his say and he will have no power to affect me unless I choose to react. I realized all my hours on the mat had indeed prepared me for this moment. I think there are a lot of times we are unable to react in the ways that we want to. Times at work or with family that we can’t just have our say and that can help keep the peace but I believe it’s very important to notice how you feel. Take notice of how you are being affected by the situation. What is it that makes you want to react that way? Do you feel powerless, ignored, not heard or offended? Is it your ego that is offended? Is there a threat to who you think yourself to be or who you are trying to project yourself to be? When you are able to be a witness to the inner reactions and not act out, unless needed of course, then you have started to cultivate the true meaning of the word yoga to “yoke”. To bring together. To unify the feelings in your heart, to the thoughts in your head, to the words that may or may not come out of your mouth. Why your New Year’s resolutions won’t work. Have you ever heard that you should cut your hair on the New Moon? Well, the idea is that as the moon grows so does your hair. So cutting it at the appropriate time can make or break your lovely locks. Check out more info here. This applies to your New Year’s resolutions as well. You see, we spend all this time gearing up for the holidays only to counteract them with resolution for January 1st to do things differently like eat better, quite sugar, workout more, start yoga, stop drinking, and start saving more money. But whatever the resolution, we usually fail by Martin Luther King Jr. Day and then we say to ourselves I HAD a dream. The timing for New Year’s resolutions is simply wrong. Just like the phases of the moon we need to work with the phases of the calendar. 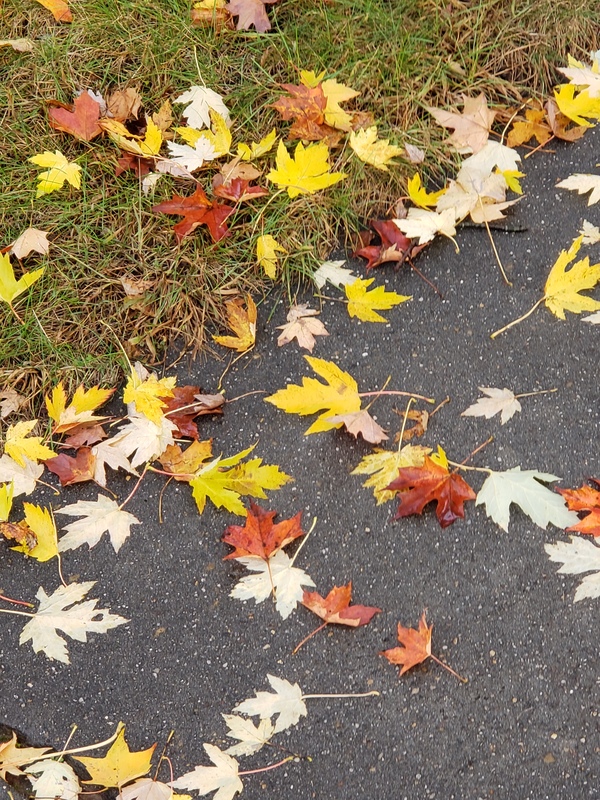 December 21st is the shortest day of the year and September 21st is the Fall Equinox. So somewhere between September 21st Fall Equinox and December 21st we should have contemplated and established what we would really like to change in our lives and make our resolutions on December 21st so our resolve can grow with the days ahead. Another thing we should do to help our resolutions stick is to ask if we are really ready for things to be different. Sometimes we only say we want them to change but we don’t really want life to be different. We are too comfortable doing what we’ve always done. We’re used to it. We understand this misery. We don’t want to rock the boat and bring up the fear of actually being happy and fulfilled. We don’t want to try to change and find out we failed again and we are back where we started. Better to not even try than to risk failure. I mean you’ve done this resolution thing enough times to know it doesn’t work, right?. When was the last time you took action on making a change? When was the last time you wrote about what you like and dislike about your life and how you experience it? When was the last time to really took an honest look at how you are contributing to the things you don’t like in your life? Or made a commitment to yourself, God, and people who can hold you accountable; that you will do whatever is necessary to make things different. The hero story is all around us. She goes out into the world wanting to fulfill her dreams and passions. But along the way there are battles, struggles, fear, loss, dark places, death, and enemies ready to take her down. It doesn’t come easy. Then, when she has had enough, she finds her resolve, her commitment to find a way no matter what, and the courage within to change. She begins to prevail. Slowly things shift. Changes start happening in her life one day at a time and she celebrates them. She starts to see the little achievements and daily wins that will bring her to her rightful place in the world and she is grateful. Then when time passes, she looks back and realizes she is fulfilling her passion, being of service, enjoying lots of love in her life, and, of course, making lots of money. So honestly, until you are ready to get down in the mud and use it to bring you to a better place, start making some serious commitments and set a date that works with the solar system nothing will really change. What are you ready to do? The Yoga Pose you will Never Do! Let’s face it as much I love yoga I get pretty tired of the scantily clad 24 year old women hyper-extending their hips joints talking about peace and tranquility as they discover their true self. Look. When you start a yoga practice especially over the age of 30 there are certain poses that as cool as they are, just aren’t in the cards. It’s never going to happen! More importantly it never should. One of the principle guidelines of yoga is right action. Forcing your head to your knee in Pyramid Pose after having done no stretching in your life would not be right action but a hamstring tear waiting to happen. But that does not mean don’t do yoga. Indeed do yoga and lots of it and often. The more you practice the more flexible you will be. The more flexible you are the less stiffness in your body. The less stiffness in your body the less pain and risk of injury. You get the idea. Plus, there are so many wonderful non – Instagram benefits to be had with a regular yoga practice. Like feeling more peaceful and less stressed out after every class. Regular yoga practice can help in reducing back pain, having the awareness to breathe through feelings impatience (especially around the holidays), better circulation and reducing gut issues like constipation, and flatulence. Yoga can even help to reduce anxiety. If you are under the age of 30 well, go slowly towards putting your legs behind your head or 10 minute headstands because all of that will have an impact on your body later in life. Will you be kept out of the kingdom of enlightenment if you do not achieve lotus? No. But if you practice often and enjoy the ride on your mat then enlightenment can truly be yours. Have you ever thought about your thoughts? Have you ever thought about how your thoughts make you feel? Often times it’s our thoughts that stimulate our feelings. If you think about how someone disappointed you, you may feel sad or upset, however if you think about the person who helped you move something or watched your children while you ran an errand or some other good deed, then you may feel a sense of love and connection. So it’s evident our thoughts have a lot to do with our feelings. This week let’s take a minute to examine our thoughts. Are they mostly positive or negative? Do they leave you feeling good or bad? It may seem weird to examine your thoughts but you will find that you gain clarity and peace of mind when you are more in control of what you are thinking. Here’s an exercise you to help. On a blank piece of paper draw a line down the center to make two columns. Use the left hand column write down your “negative” thoughts then on the right hand column write a list of your “positive” thoughts. Your positive column may be small but notice how you feel when you think about those thoughts. Now that you have separated your positive and negative thoughts you will begin to notice them more and more. In fact carry your list with you throughout the day so you can add to it on either side. Then at the end of the day cut your list in half lengthwise so the columns are separate and burn the negative side so all you have left is the positive side. Then take the positive side and place it in a prominent place in your home or workplace. Repeat the exercise everyday for 5 days. You will end up with 5 positive lists. Try not to repeat anything on the lists. Now for the next two days keep reading your positive lists and let the good feelings affect your attitude, your relationships, and your connection to Universal Source Energy and all things good and beautiful. Truly there is nothing like it. I cannot seem to find a way to replicate the openness and length the body gets with the Ropes Wall. Originally designed by B.K.S. Iyengar it has unlimited potential for ALL and I mean ALL. For those just starting out it is good for support and structure. 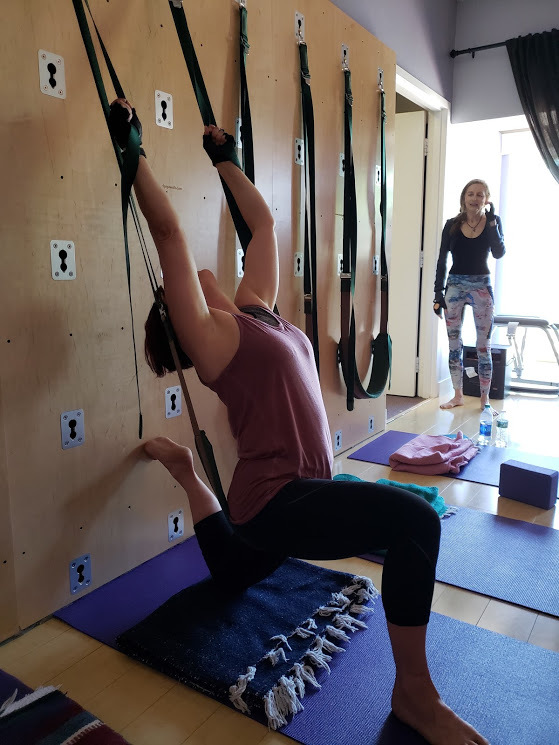 For people who who have injuries, spinal issues or chronic pain the ropes wall can target areas traditional yoga just can’t no matter what style you practice. And for the advanced yogi the wall helps the body access and deepen stretches to achieve postures like King Pigeon and Wheel. With all the sitting, driving and texting we do we have to find ways to bring ourselves upright and back into better posture. 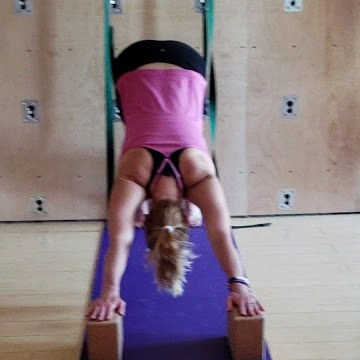 The best way the ropes wall does this is by allowing us to be passive and soften into postures so our body can relax and unwind all the tension it’s been holding without forcing or pushing into something new. Water does not flow the way you force it to but rather it finds the path of least resistance. Our bodies aren’t much different. They like to take the path of least resistance. Just think of the effort it takes to get up and change the channel. Ergo the remote. If you think it’s not for you think again. I’ve had 6’4″ men on it, students with scoliosis on it, 85 year old women on it and others who were terrified find their way to loving the wall and what it does for their body and getting them out of stiffness and pain. In fact one student felt as though her organs had more space in her body. This might be true. There is a stillness when practicing on the wall. I suppose it’s due to the space that is created in the body the joints and the mind itself for possibility and ease. 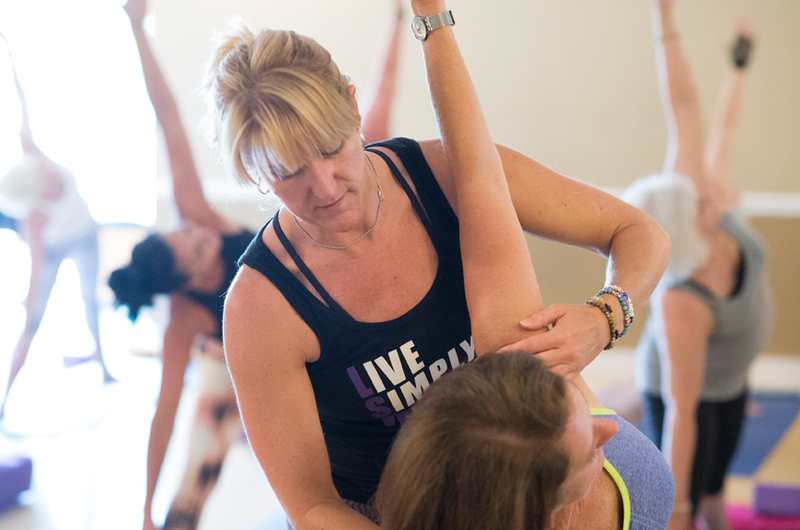 Find a class either with us or a studio near you, you won’t regret it. What brought you to yoga? About 7 years ago I began training for and completed a ½ marathon. I was so psyched that I began training for a full marathon almost immediately afterwards. I went for a long run on a cold January day and in an effort to complete the run, I sprinted the last mile. As I ran I felt like something snapped in my left hip area and immediately felt intense pain in my knee and had a hard time walking. I came to find out that I pulled my IT band. I went through PT, but needed something to keep myself stretched and toned. I took my first yoga class and I fell in love with the connection between body and mind. I loved the meditative qualities as well as the mindfulness and focus. The strengthening of my body was also a huge plus! In what ways has yoga impacted your life? Yoga has helped me to refocus more quickly after life throws curve balls at me. Even if I lose my temper or emotion gets away from me, my training has taught me to always return to the breath. Why did you decide to enroll in a Yoga Teacher Training? While I was a Police Officer, a friend asked me what I would do if I wasn’t Police Officer. Without even thinking “become a Yoga Teacher” came out of my mouth. I wasn’t even aware I wanted to teach! Well, after the birth of my daughter almost 4 years ago, I decided I wanted to retire and there happened to be a Yoga Teacher Training starting that fall at the studio I was practicing in. I signed up and have not regretted one step of this new journey. Looking back what advice would you give to yourself the first time you stepped onto a yoga mat? Stop trying to compete with others. Enjoy the moment. Be curious about the practice and where the teacher is trying to lead you. SOFTEN! Oh, and none of the other students are watching you!! What activities do you enjoy outside of teaching? Spending free time with my Step-sons, husband and daughter doing something fun like hiking or going to the beach, I love to go to the beach with my daughter. I love to garden, going to amusement parks, AND if I can find the time, I love to read. What advice would you give a beginner? Be kind to yourself and try not to judge. Everyone has a starting point when they begin yoga. Don’t aspire and wish to be in the difficult postures immediately. Those take time, but be present in the moment and be patient with yourself about where you are in your practice. The teacher is there to help you. What is your favorite pose? My favorite pose constantly changes. Sometimes it’s wheel, sometimes Balancing Half Moon, but I think most consistently it is Warrior II. I love the grounding and strength of the posture. It is a conscious effort to be in such a strong posture, but at the same time to soften the gripping. What surprise have you found about yourself or others from being a teacher? I found that I do love to teach. I wasn’t sure as I went through training if I truly did want to teach, but once I began to teach, I loved it. When I center my class, I can truly let go of what is happening beyond the studio walls, no matter what went on in life before I walked through the doors. As the class and I begin to breathe in unison and the class begins to move, my tension melts away and I begin to soften. Teaching is a big part of my yoga path. Sign up with this link. neck pain ​from a car accident in my teens. 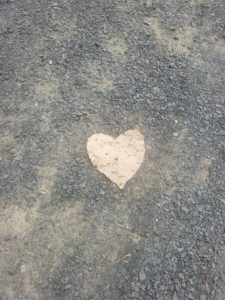 Feeling a little down one day I asked myself “is this as good as it gets?” The universe seemed to respond quickly as I soon found myself in a yoga class breathing, twisting and turning without a clue as to what I was doing. 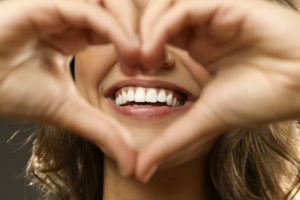 Walking out of that first class was like experiencing a whole new lease on life that felt hopeful, healthy and vibrant! I was hooked, and that feeling has been bringing me back to my mat every day! 2. In what ways has yoga impacted your life? The day after my first yoga class was quickly followed by a second class the next day, and the next day and then followed by three to five times per week. The effects of peace, calm and joy felt on my first day were confirmed again and again as each day I left class feeling fantastic! Anxiety and neck pain disappeared and I was sleeping great! 3. Why did you decide to enroll in a Yoga Teacher Training? My desire to create beautiful things through art and design carried me naturally into the desire to share the beautiful effects yoga had in my life. 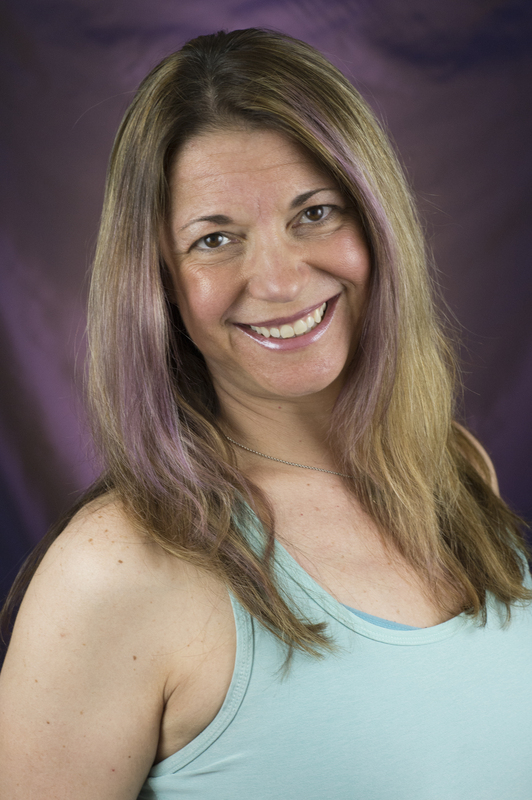 Enrolling in training at Kripalu was a natural next step after a year since stepping into my first yoga class. 4. 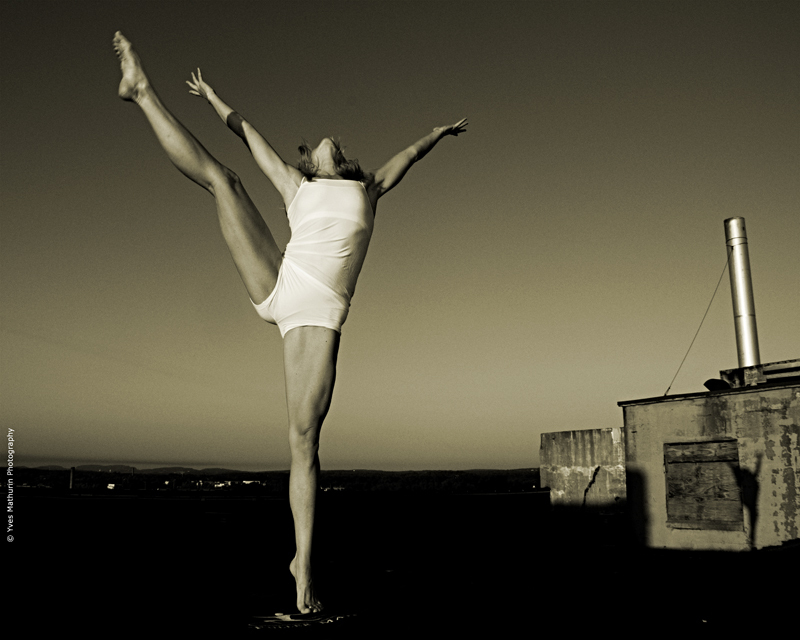 Looking back what advice would you give to yourself the first time you stepped onto a yoga mat? ​ ​Relax and have fun! Our mind and body tend to be at odds with new experiences. Quieting the mind and listening to the body allows one to begin to experience the body leading you into a new and wonderful world of peace. This can be challenging when our mind rules our world, but that is where yoga really shines. 5. What activities do you enjoy outside of teaching? Traveling, paddleboarding, hiking and spending time with my family and friends. 6. What advice would you give a beginner? Try it! Let your body be the judge after a class or two. Once we get out of our mind and allow our body to twist and turn releasing the tension and stress that we aren’t even aware of, the mind becomes more calm and centered which is a wonderful feeling! So many times people get caught up in thinking their yoga pose needs to be as perfect as the poses on the cover of yoga journal but it doesn’t. Yoga isn’t about perfect poses, yoga’s about connecting to your body and yourself. 7. What is your favorite pose? I really want to say savasana because that’s my all-time favorite, but only after a full practice! Dancer pose is my favorite! I love the benefits, it’s a great backbend and quad stretch! 8. What surprise have you found about yourself or others from being a teacher? I never imagined myself being a teacher. Now my full time job is being a yoga and meditation teacher and a reiki practitioner. Yoga teacher training was such an empowering and confidence building experience that it has literally created a career I never knew was waiting for me.